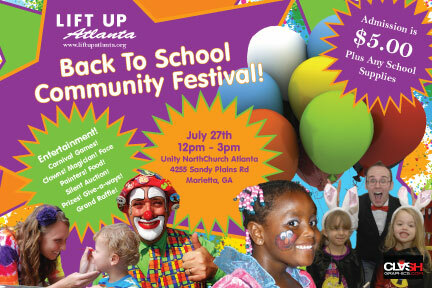 Lift Up Atlanta will be collecting and distributing backpacks and school supplies to needy children to get them prepared for the upcoming school year. This will be done at the Back to School Community Festival. Admission: $5 plus any donated school supplies. Lift Up Atlanta is a non profit organization that is committed to helping the homeless and feeding the hungry. We work with several homeless shelters in the metro Atlanta area and the homeless directly in providing everything from basic needs to computer training/job skills. Their goals is to provide services and programs to support the whole family. Our services range from feeding the homeless on the streets of Atlanta to our job readiness/self empowerment program to promote self sufficiency.